Breakfast is the most important meal of the day. 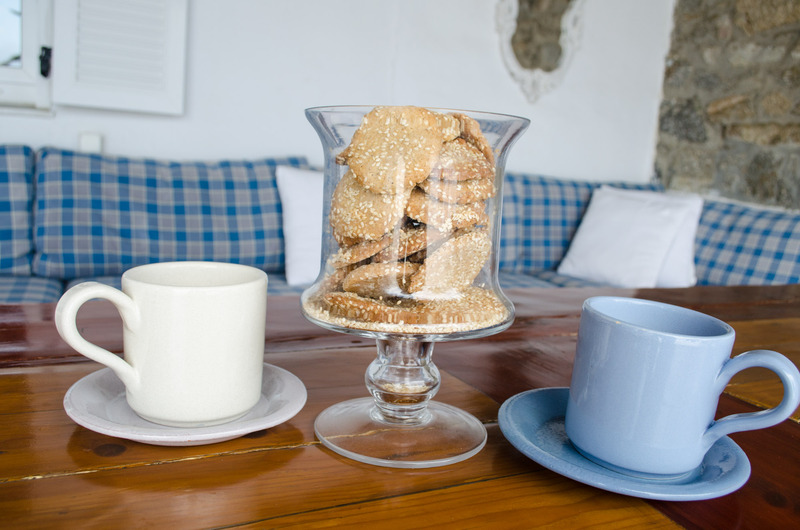 Τhat’s why serving an excellent breakfast at Villa Hurmuses is our top priority. Ana Marie and Ernesto know Mykonos inside out. When shopping for ingredients they go directly to the best suppliers. 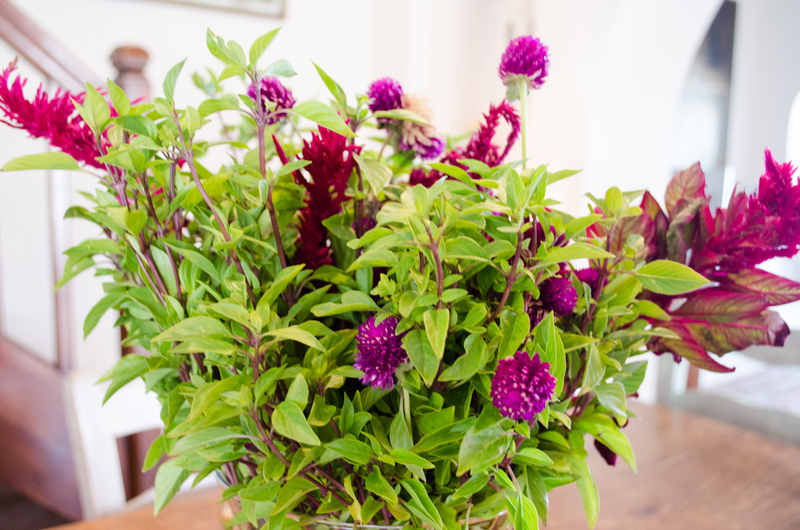 This guarantees that all the villa meals are prepared with fresh, high quality ingredients. Do you love the smell and taste of freshly brewed coffee in the morning? For sure you do! Most people have developed a morning coffee ritual. Ana Marie ensures that you get your coffee served just as you like it while you enjoy your holidays in a warm, private villa environment. Tip: Don’t leave without trying her famous homemade cookies. Look out for our cookie jar! What is a traditional breakfast without freshly fried bacon? Ana Marie has her secret technique. 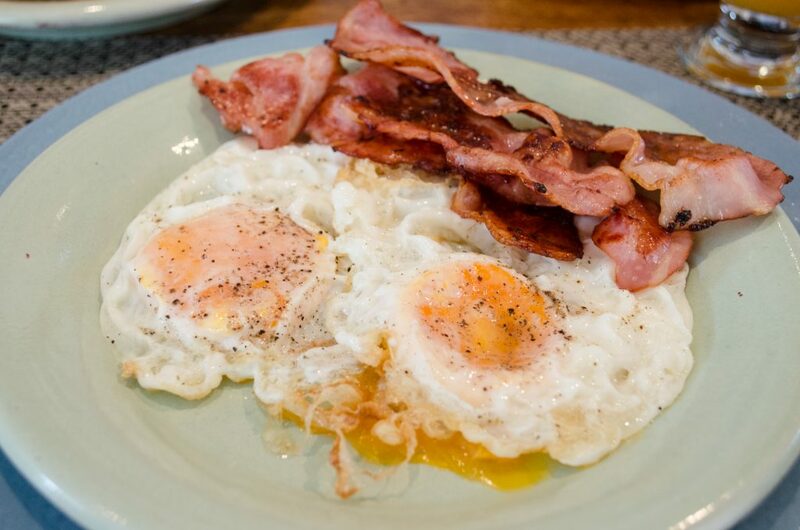 She serves delicious crispy, fresh bacon with eggs: sunny side up, hard or soft boiled, scrambled or an omelet with ingredients of your choice. Greek yogurt is a protein rich breakfast staple. To give it sweetness and flavor — add some fresh fruit and top it with Greek honey. We like bananas — a banana a day will keep mid-morning cravings at bay. This healthy carbohydrate will keep you feeling fuller longer. 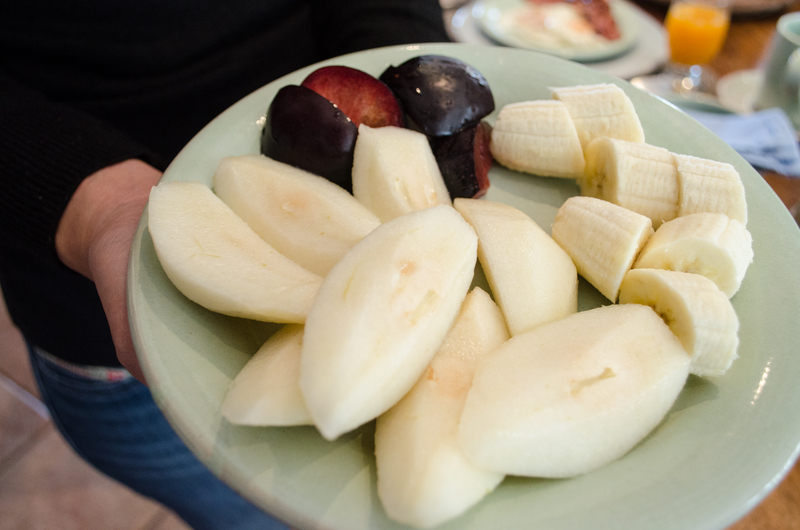 Of course, we serve other fresh fruit too. Freshly squeezed orange juice is an all-time morning classic. 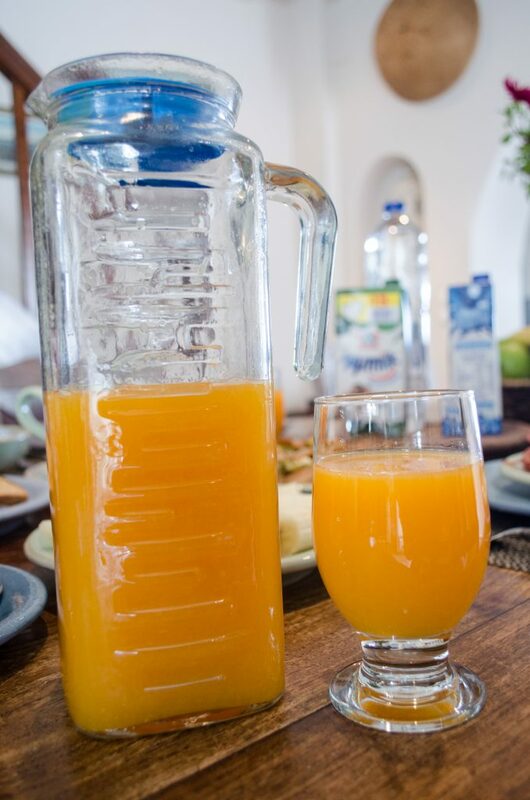 At Villa Hurmuses we make sure that you get plenty of Vitamin C, thus expect a freshly squeezed jug waiting for you at your breakfast table. A breakfast isn’t complete without delicious fresh bread. 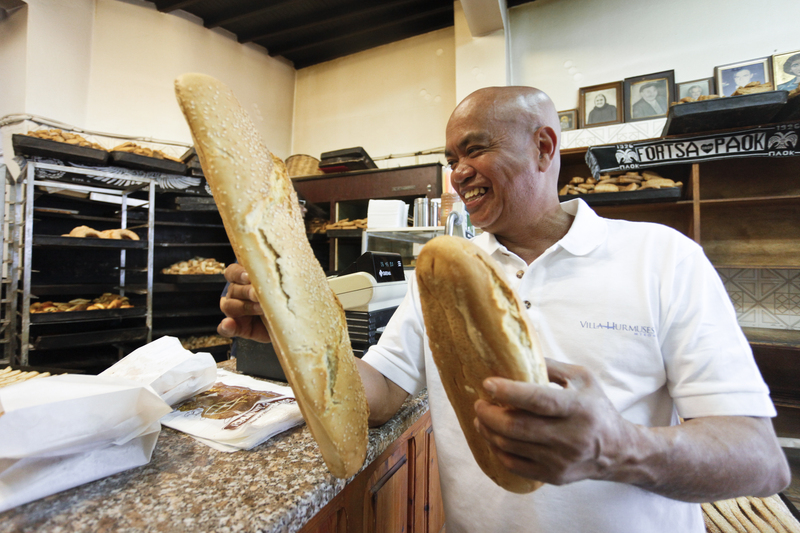 Every morning Ernesto visits the local bakery to bring freshly baked bread straight from the oven. 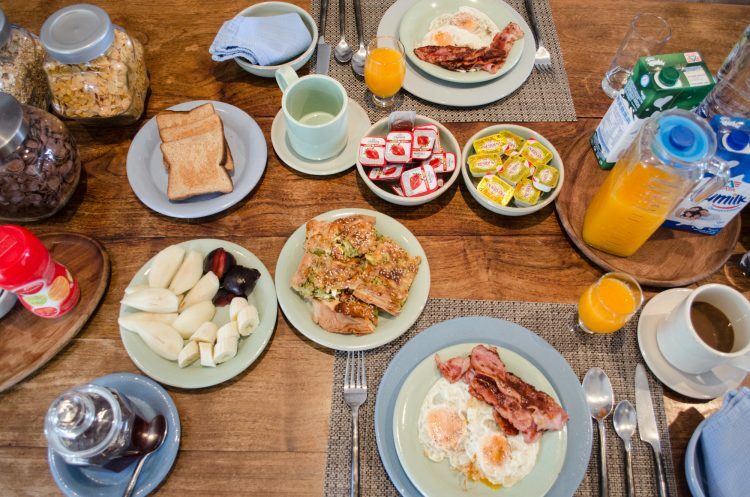 On your breakfast table you will also find fresh toast bread, butter, a selection of jams, cereal and fresh milk. 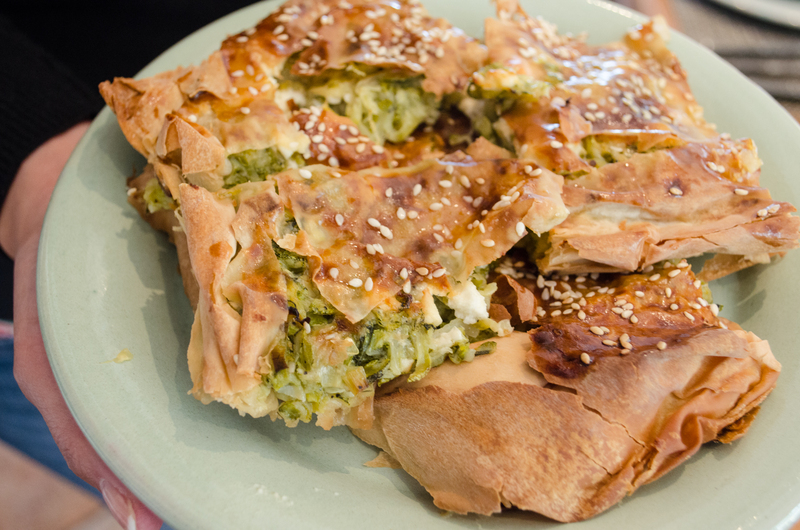 If you would like to try something different and Greek, ask Ana Marie to prepare her fantastic savory zucchini pie. 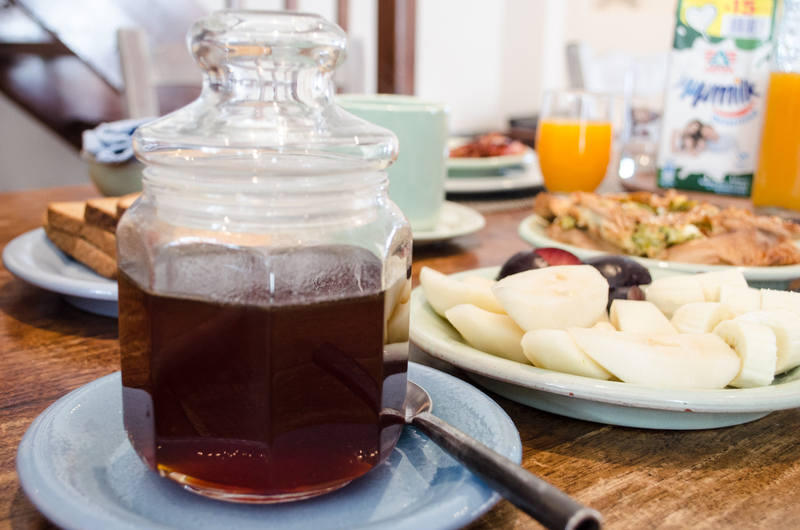 Serving delicious breakfast at Villa Hurmuses is an essential part of our hospitality. We pride ourselves for making our guests feel at home by serving them healthy, homemade food using our traditional villa recipes.